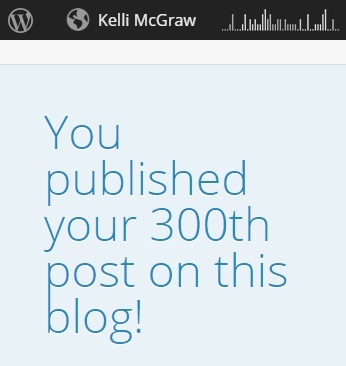 I’ve been thinking for some time about what to write about for my 300th blog post. I wanted to make it about something close to my heart, something that tapped in to a long standing passion. One area that I have been passionate about for a long time is my commitment to free and inclusive public school education in Australia. 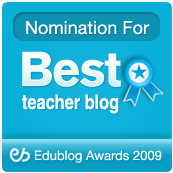 As an alumnus of the public education system I want to use this blog post to outline the main benefits I see in public schooling, and champion the teachers and students that work and learn together in these high quality institutions. To say that public schools are lacking in values due to their secular nature is an abhorrent slur on the sector. However education commentators such as Kevin Donnelly will readily tell anyone that will listen that the lack of religion in public schools is a left-wing agenda designed to deny Australia’s heritage of Christian values. My experience in public schools flies in the face of such assertions. In all schools I have worked and studied in there have been student-staff groups that meet to discuss or practice religion at lunchtimes and study breaks, and many schools continue to offer scripture sessions. I freely admit that my personal preference is for scripture to be taken out of school settings, but I respect the decision of school communities to offer the service where parents and/or students have expressed a desire for it to be in place. For those like me that would rather see discussion of ethics and values occur in a broader context than the religious one, public schools promote this freedom. All schools will choose certain words or phrases to guide their students in fruitful directions – in my primary school the school crest offered ‘Honour and Service’ as a creed to focus the development of student values, and my high school offered ‘Loyalty, Sincerity, Generosity’, words that continue to frame my personal values in adult life. In addition to these pithy creeds, public schools all offer codes of conduct, mission statements, and other means of imparting values to their students. And although the adequacy (and currency) of the National Values Education Framework is contestable, the ‘Nine Values for Australian Schooling‘ are in place as a shared set of values for all schools in Australia. Of course, all school sectors utilise similar means of organising school life around shared values and I am not trying to claim here that public schools do it any better! I simply hope to speak against the myth that public schools are a ‘wild west’ of value-free behaviour and anti-establishment attitudes. One of the biggest things I think public schools have going for them is their remit to provide free education, and to provide it for all. I realise this claim does not always translate into a level playing field at the school level. The operation of specialist schools and the efforts of families to move into the catchment areas of ‘more desirable’ public schools cannot be ignored. I am not so naive that I think all public schools are operating with equal resources – they are impacted significantly by factors such as the sociocultural background of their communities and geographic remoteness. By and large, however, the public school sector is authentically committed to diversity. Not just diversity in terms of ethnicity, but also in terms of culture, sexuality and class. You will not find a student that is gay being asked to leave a public school because they are not living ‘as God intended’. You will not find a student that is poor turned away from a public school because they cannot pay the fees. Public schools continue to teach disproportionately high numbers of Indigenous students, as well as students with disabilities and from low-income households. I struggle to understand how parents who send their children to private schools do not see that they are effectively paying to ‘opt out’ of diverse communities. I have fought long and hard with some of my close friends about this … at work however, I tend to invoke the ‘do not discuss politics at the dinner table’ rule. I will happily make my personal view known here, however: I think that propping up a system where richer families pay to quarantine their children from learning alongside others that are less like them, or less well resourced, is a blight on our nation. One reason I have often heard cited for sending children to private schools is that they will ‘have more opportunities’ there. And this may be true in some cases – your average local public school might not have an orchestra, or a swimming pool, or an annual school play (then again, they very well might – have you asked?). But if they don’t have these things when you enrol, is this really the end of the world? If your school doesn’t offer violin lessons, might it not teach your child resourcefulness to go and find somewhere that offers after-school classes? If your school debating team doesn’t win many trophies, might this not teach them how to focus on personal bests and celebrate teamwork? If your school doesn’t have a drama club, might your child not help to start one? Or maybe even you could lend a hand? The attitude that the school must provide every opportunity imaginable to students strikes me as an arrangement where parents over-rely on a single institution to provide learning opportunities for their children. I much prefer an arrangement that is grounded in community efforts rather than provision of an exhaustive suite of culturally elite services to a ‘clientele’. The notion that opportunity only exists where it can be bought is the myth I seek to bust here. If the (perhaps not-so-glossy?) brochure for your local public school doesn’t advertise a chess club, that doesn’t mean they don’t have one, or that they can’t start one. For those who assume that paying fees to a private school is a way of buying a student a ticket to future success, think again. Barbara Preston from the University of Canberra recently discussed the findings of a number of studies that showed ‘State school kids do better at uni‘. This topic was also dealt with in a follow up piece by Jennifer Chesters from University of Canberra, who presented further data to demonstrate that ‘Private schooling has little long term pay-off‘. Of course, the issue of future success has many other faces and is a more complex picture than that painted by test results and future earnings. One thing to keep in mind is that formal assessment and reporting can only ever show us part of the picture when it comes to learning and student outcomes. On the other hand, kids from public schools can face discrimination in the workplace when employers perceive a lack of social capital as a reason for passing over applicants from public schools (disregarding merit). My glasses aren’t so rose-coloured that I’ve never noticed the “old boys/old girls” phenomenon in play! What I fear though, is that many middle class families are sending their children to private schools with the good intention of providing a ‘better’ education and an advantage when it comes to university entrance. Some parents report taking on second jobs just to pay for private school fees. Such families should be aware that there is no guarantee of getting bang for that buck. If it were me, I’d spend that money on a annual family trip abroad instead. In case anyone has gotten the wrong idea, can I pause here to say that I highly value the professionalism of my non-public sector colleagues. In the work I have done for the English Teachers Associations in NSW and Queensland I have had the pleasure of meeting English teachers from all sectors that have one thing in common – a desire to do right by their students and help their respective schools be the best they can be. In both my professional association and my research work, the resources that I create relating to curriculum, pedagogy, assessment and literacy are intended to benefit all teachers, not only those in public schools. However … I could not ever, for any amount of money, work as a teacher or administrator in a private school. This is due to the simple fact that I would rather contribute my labour to the public sector, where I believe the values of equity and social justice are most fully realised. It is also because for every person who has anecdotally told me about the benefits of private school pastoral care programs, there has been another reporting stories of being bullied by their peers and/or forced to conform to hideous rules by their teachers. Anecdotes aren’t representative, and in my line of work, I’ve really heard them all. Sure, some public schools have issues. Let me assure you, so do some private schools! My point here is: anyone who cares to argue that private schools are better because they can afford the best teachers, keep in mind that I am one of many teachers that are committed to remaining in public schools. If you’ve ever pictured public schools as a wasteland of second-rate teachers, you couldn’t be further from the truth. Earlier this week I broke my ‘no politics at the dinner table’ rule when colleagues brought up the question of where I would send my own kids. And I respect that one of these folks comes from a devout Catholic family and so will likely send his kid there. I concede that if, like another colleague, I have a child with special needs that cannot be accommodated in a public school then I will have to consider a private school alternative. And when one colleague raised the possibility that the entire school system is already irrevocably broken and that old notions of ‘what works’ may need to be discarded completely … well, that gave me pause for thought. But honestly, I do trust that the system that served me so well will serve my children well too. Maybe I’m wrong to be loyal to any sector of a system that is so badly failing to innovate and change. Maybe politicians aren’t done propping up the private sector and the slide into a truly two-tier system of schooling is already inevitable. For now though, I just can’t ignore what I know about the awesome work that happens in public schools, or the sense of responsibility I have to continue improving that system from within. And for always I will remain proud to be a product of the public school system. This entry was posted on October 22, 2014, 11:05 pm and is filed under education, personal, reflections. You can follow any responses to this entry through RSS 2.0. You can leave a response, or trackback from your own site. Love it, Kelli! As a product and employee of public schools, I can say that (a) any school or student would be lucky to have me as a teacher (Bragging but not caring- I’m good at what I do and constantly see other teachers who are too) and (b) have worked for public schools with orchestras, pools, plays, award winning debate teams, connections with amazing cultural and corporate organisations, author talks and much, much more. I have also seen friends and family members attend private schools only to struggle or fail at uni or reality. Knowing that I teach kids who might be the first in their family to finish high school or attend uni is the best feeling in the world. Last month, one of my past kids became a brain surgeon. I couldn’t have felt as proud if it were my own son. Thanks for the positive post! You are absolutely right to brag! And you are spot on about the great things that happen in public schools. My own prejudices around this were seriously challenged back in my second year of uni. I attended a public high school, but one that was academic-selective. I had been carrying around an assumption that I was lucky to attend a ‘good’ public school, and a suspicion that other ‘lesser’ public schools weren’t so hot. In a tutorial one day I said something along the lines of “If I had’ve gone to [X local school] my education wouldn’t have been as good”, only to have another student interrupt with “hey, I went to that school!”. Turns out her teachers were awesome, she had been in the school choir and Student Council, and yes, plenty of her friends had gotten good HSC marks and gone on to uni. And now she and I were sitting in the same uni classroom. Wow, did I feel like a snob that day! Since that day I’ve kept my eyes open to the work that happens behind-the-scenes/brochures in all schools, and have found that public schools rarely disappoint. Good work Kelli! Love the photo. I walk up and down that path a good 20 times every day now. As you know both myself and my husband hold the same values both as teachers in public schoolsand parents of children who have successfully achieved in public schools all their schooling life. Two of our four children are at uni and have been highly successful there so far. No doubt the other two will also be successful once they graduate. There is so much more that gives weight to success at uni, or even success at life, than what school you attend. Collectively both my husband and I have taught in public schools for 40 years and we are both proud of what we have given and proud of the many students we have had the opportunity to teach over the years. An excellent post Kelli. Well done. I am a fierce believer in the public school system. 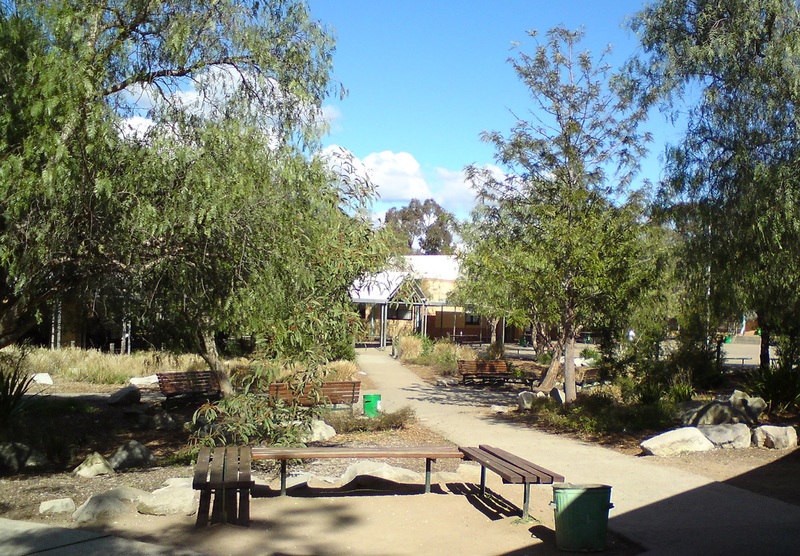 In fact the worst teaching experience of my career was when I accepted a position to move from Melbourne to teach in a private school in the Darling Downs region. To make it worse I dragged my two children there as well. Very unhappy years for them. A couple of years later I had moved to a local public school and it was great. I struggled with the Qld system but the teachers and students were great. When the boys finally came across as well I could not believe the money I had spent on all the extras at the private school, while at the public school they all came freely.